What does it mean to succeed in college? 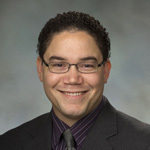 A student’s answer to that may not be what we expect to hear, according to Daniel Vélez, who was promoted to associate vice president for a new unit, Student Success. Hal Payne, vice president for student affairs, announced the new unit on August 19. Student Success includes the offices of Orientation and New Student Programs, Residence Life, and Student Life. Vélez said that helping students succeed is a college-long process that begins with orientation and ends with graduation. “We need to become more engaged with students, and do it in more proactive ways,” he said. Coaching students for success is one such strategy. For higher education faculty and professionals, who are steeped in a culture that they themselves navigated successfully, the answer might seem obvious. Success is earning a degree and achieving a grade-point average that demonstrates sufficient mastery to enable the student to succeed in a career or graduate school, an ability that he or she has also demonstrated with relevant activities. 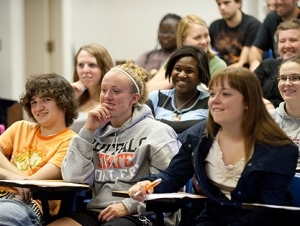 Vélez said that an opportunity exists for the Student Success unit to work with faculty and others throughout the college to help students align their vision of success with Buffalo State’s academic culture. “They are part of the Buffalo State family now,” he said. Students’ individual notion of success may be shaped by multiple social dynamics and life experiences. The goal is to help students align their individual goals with institutional goals—retention, persistence, and graduation—that will help them achieve not only academic success, but also life success.